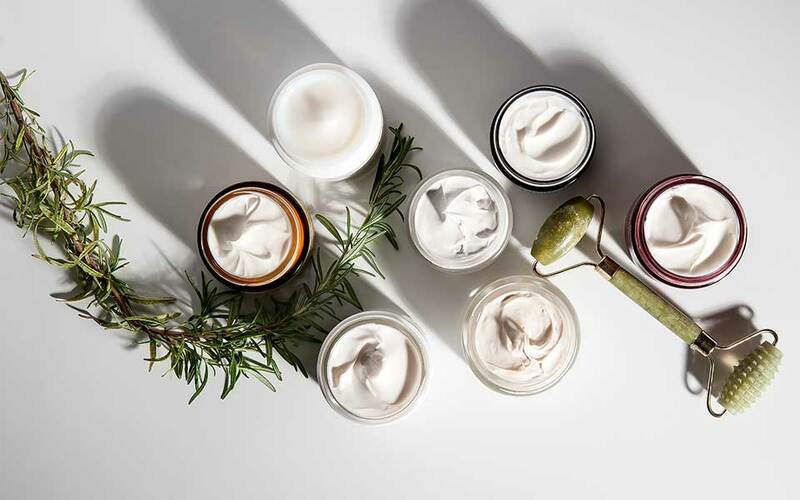 Natural is the new gorgeous – in its quest to give its customers a healthy, happy and rejuvenated look, the cosmetics industry in Greece is at the forefront of a return to plant-based ingredients. With all kinds of beauty and health secrets hiding in the mountains, hills and plains of the Greek countryside, a number of players in the local cosmetics industry have achieved success by relying on the use of natural ingredients, and by following a philosophy based on the country’s ancient heritage, all while leveraging modern science, too. Given that the country has such a diversity of flora – one of the richest in the world, in fact, with over 6,500 plant varieties, 1,300 of which are endemic – it’s not surprising that the first systematic study of plants and their properties originated in Greece. In the 5th century BC, Hippocrates and his students laid the foundations of modern medicine and Theophrastus, a student of Plato and Aristotle, pioneered the field of botany with the first-ever classification of plants. It was also a Greek, Pedanius Dioscorides, a physician in the Roman army, who, between AD 50 and 70, compiled the ancient world’s definitive encyclopedia on herbal medicine and related medicinal substances, “De Materia Medica.” This text would become the principal reference work on pharmacology across Europe and the Middle East for the next 1,500 years. With the industrial revolution, however, came the chemical industry, and pharmacology began to turn its back on nature. Traditional natural remedies continued to be used for beauty treatments, but even cosmetology eventually succumbed to synthetically produced substances. It was only recently that growing concern over certain chemicals in beauty products began to make the cosmetology industry rethink its approach. Pioneering chemists returned to the teachings of Hippocrates and Dioscorides, and even researched folk wisdom, coming to the conclusion that nature continues to hold the answers to humanity’s age-old quest for beauty and wellbeing. Greece was among the first countries to earn a reputation in the new field of natural cosmetics. Its flora provided all the ingredients the industry needed in order to create safe cosmetics with high concentrations of extracts from plants – extremely effective against a plethora of issues related to skin aging – while its scientists possessed the know-how required to compete with bigger global brands. 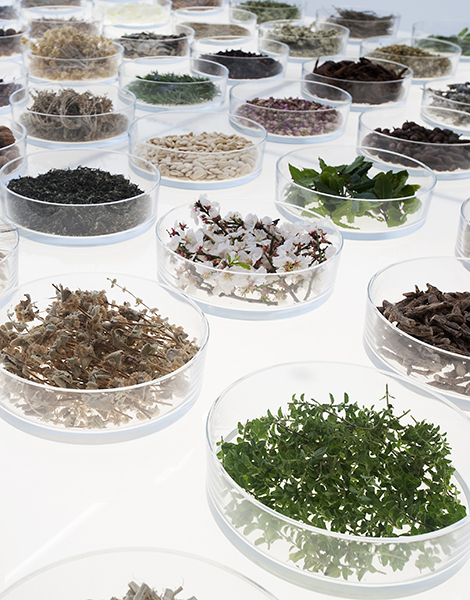 The original Korres pharmacy had over 3,000 herbal remedies in its stock, and the company continues to research unusual ingredients. George Korres started his company in 1996, using his deep understanding and knowledge of natural ingredients and their application in over 3,000 herbal remedies. Inspired by the wonderful world of bees and by the legacy of Hippocrates, Apivita creates cosmetics covering the entire range of daily facial, body and hair care needs, making products with 85 to 100 percent natural ingredients and which are completely free from harmful or environmentally damaging substances like silicon, parabens and paraffin oil. It also boasts a line of 100 percent organic essential oils that have a refreshing, uplifting and energizing effect on the mind and body, helping alleviate stress and tension. All of the company’s products are designed to complement each other so as to achieve the best possible overall result. 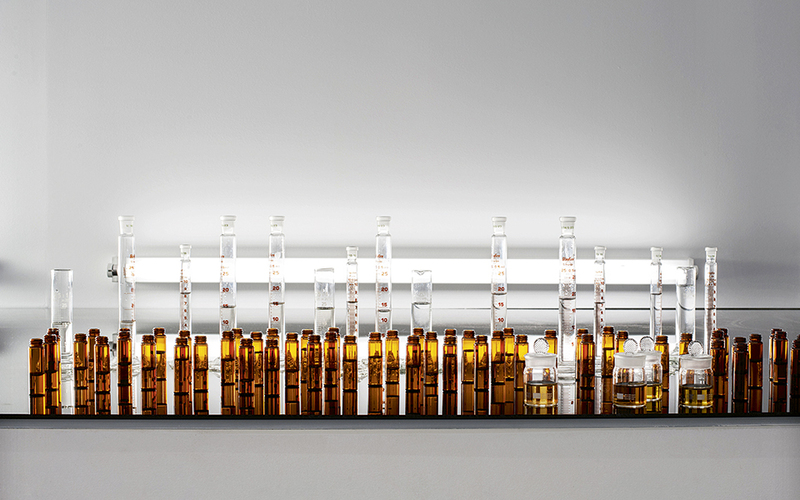 Georgios Korres used the knowledge he acquired at Greece’s first homeopathic pharmacy, first as an employee and then as owner, to create the Korres company, developing it into one of the world’s biggest names in plant-based cosmetology. The firm uses local plants and herbs in preparations inspired by ancient Greek, Egyptian and Latin literature on the subject. 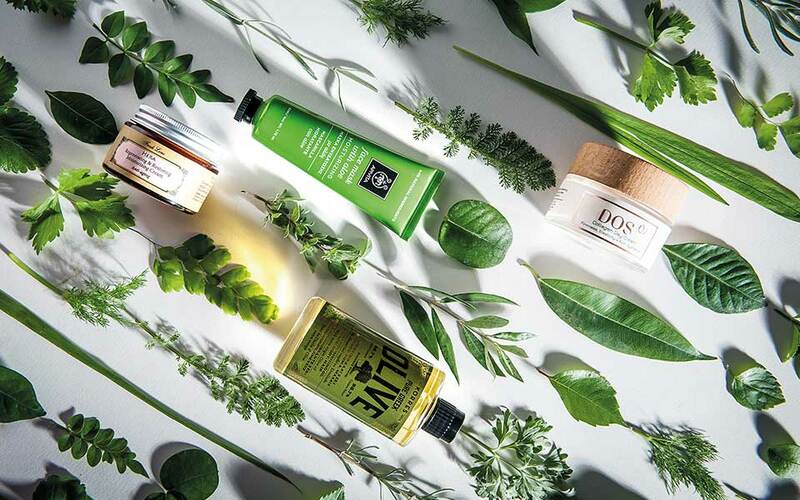 Thyme, sage, bay, olives, mastic gum, Kozani saffron and hundreds of other well and lesser-known plants are used in creating Korres’ increasingly popular and successful product lines. New players have followed in the footsteps of these two pioneering companies, adding their products and ideas to a growing industry sector. Fresh Line, for example, produces wonderful face, hair and body products and soaps, as do Cool Soap and BioSelect. DOS Cosmetics and Macrovita have developed their own effective solutions, while Helleo makes handmade soaps from organic extra virgin olive oil. Below you will find a selection of Greek-made skincare products, many with certified organic ingredients and no synthetic additives, to ensure safe and effective care for every skin type. These generally fall into the following three categories. No skincare product can do its job unless the ground has been properly prepared first, with a good cleanse to get rid of sebum, dead cells and pollutants that prevent the proper absorption of moisturizers and other products aimed at protecting and improving the skin. Greek cosmetic firms produce a rich array of skin cleaning products, from soaps and gels to milks and lotions, many of which are mild and suitable for even very sensitive skin. Hydration is the cornerstone of healthy skin, improving its main functions and strengthening its defenses. Just like our body, our skin, too, gets thirsty and needs moisture to keep its firmness and glow. A range of serums, creams and masks guarantee deep nourishment as nature itself provides the ingredients that improve skin health. While there is no way to stop nor reverse the effects of time, the right combinations of cosmetics can ease them, in keeping with the new cosmetic trend that promotes aging gracefully rather than struggling to look much younger than one’s actual age. Products in this category are those that smooth out lines and wrinkles while simultaneously strengthening the skin’s defenses against harmful external factors. 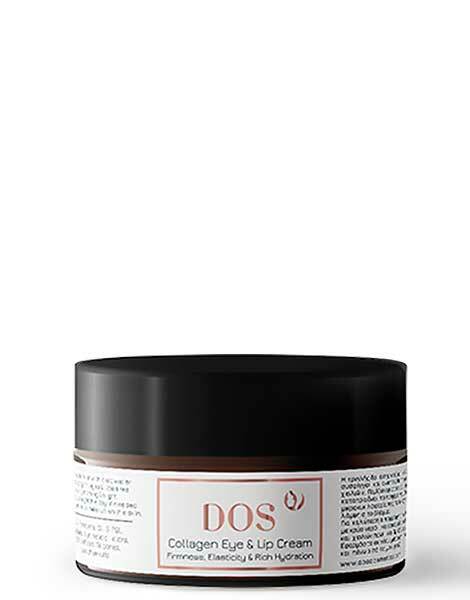 DOS Cosmetics Collagen Day Cream. Sea collagen, hyaluronic acid and elastin offer deep hydration for enhanced skin elasticity and an overall lifting effect. Mountain tea, hypericum, calendula and lavender help to restore shine while reducing fine lines and deep wrinkles. Cara butter, beeswax, jojoba oil, aloe and red tea strengthen the skin, balance it and help it to retain its moisture. Fresh Line Hera Regenerating and Restoring Eye Contour Cream. Olive oil, shea butter and borage oil hydrate the eye area, while amino acids stimulate collagen production to reduce the appearance of fine lines and other signs of aging. Rosehip seed oil minimizes signs of photoaging, while arnica reduces the appearance of dark circles and puffiness. For mature skin types. 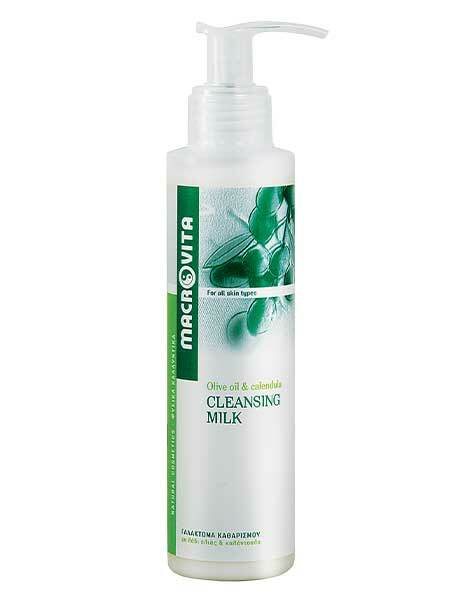 Macrovita Cleansing Milk with olive oil and calendula, for all skin types. Deeply cleanses and leaves the skin free of impurities, makeup and greasiness, while offering hydration, softness and radiance. Available in pharmacies. 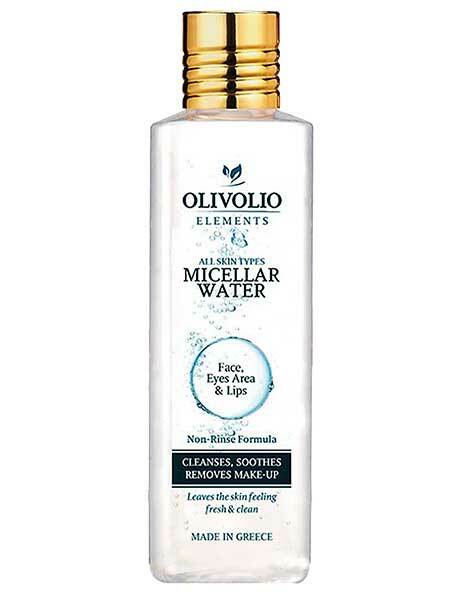 Olivolio Micellar Water for face, eyes and lips. Specifically formulated for sensitive, normal and dry skin types. Enriched with minerals, vitamins, panthenol and natural antioxidants, the non-rinse, fragrance-free daily formula soothes skin as it cleanses. DOS Cosmetics Collagen Eye & Lip Cream. Nourishes the eye and lip area with sea collagen, hyaluronic acid and elastin, filling deep wrinkles. Aloe and squalene enhance the natural production of collagen, while red tea reduces swelling and retinol regenerates new cells in the area. 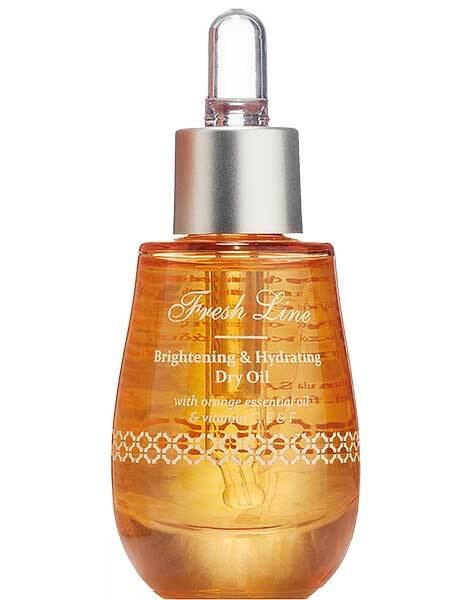 Fresh Line Hesperides Brightening & Hydrating Dry Oil. Improves skin tone, elasticity and skin appearance. A vitamin C derivative specifically enhances luminosity while promoting collagen production. Apply a few drops to the face, neck and décolleté after cleansing and toning. 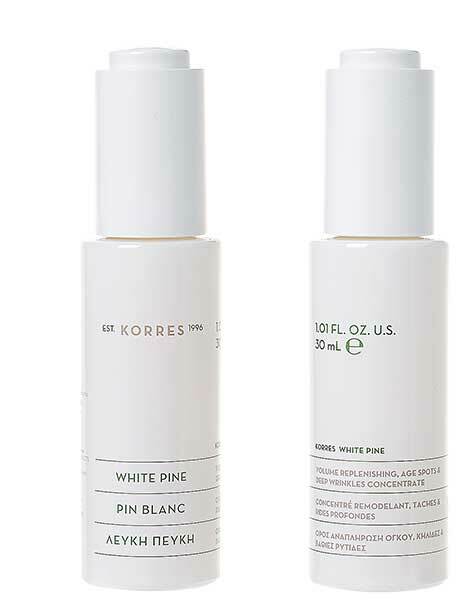 Korres White Pine Volume Replenishing Age Spots & Deep Wrinkle Concentrate. Targets age spots and deep wrinkles. A mixture of polypeptides and white pepper polyphenols nourishes the skin to reduce those signs of aging. Available in pharmacies. 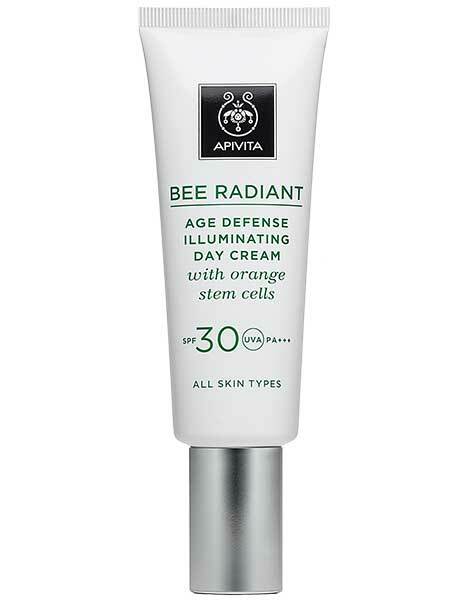 Apivita Bee Radiant Age Defense Illuminating Day Cream SPF 30 with orange stem cells. Prevents and reduces wrinkles while it illuminates the skin. Broad-spectrum sun filters and patented propolis extract provide effective protection against UVA and UVB radiation and other external factors. Olive, pomegranate, honey and hyaluronic acid provide hydration. Grapefruit, green clementine, bergamot orange and rose organic essential oils reduce inflammation and rejuvenate the skin. Available in pharmacies. With its many characteristic natural fragrances, soap is the symbol of cleanliness and freshness. For years, however, solid soap lost shelf space to liquid soap, which acquired a reputation as an easier, safer product, particularly for use in public areas. 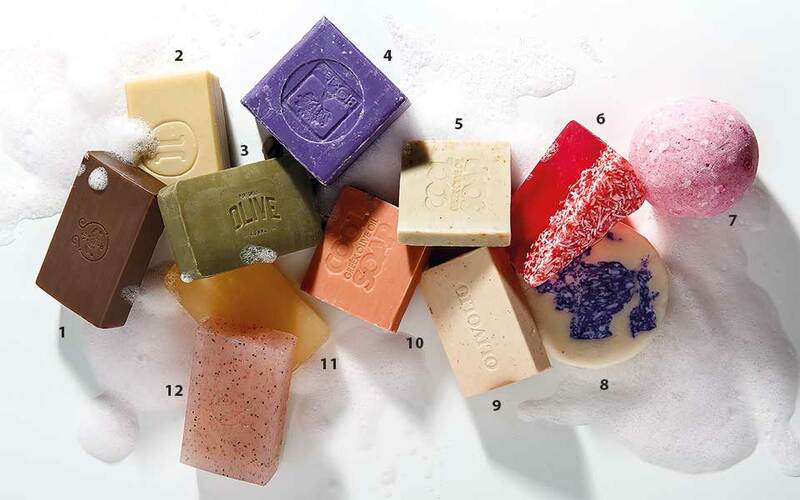 It was only a matter of time, however, before bars of soap made their big comeback, and now more and more cosmetics manufacturers are introducing high-end soaps to their collections. Why pick natural solid soap? Because handmade soap is rich in natural glycerin, is friendly to the environment, has beneficial qualities and suits every skin type. It is, in short, a treasure, and perfect for daily face and body care. Natural Soap with propolis, Apivita, available in pharmacies. Handmade olive oil soap with black beer & rosemary, Helleo. Pure Greek Olive, traditional soap with olive blossom, Korres, available in pharmacies. Handmade lavender & olive oil soap, Bioselect. Elements 02 handmade cleansing soap with green clay, spinach and lavender, Cool Soap. Handmade pomegranate soap, Fresh Line. Fig & Green Tea Fizzing Bath Ball, Fresh Line. Handmade lavender soap, Fresh Line. Natural soap with olive leaves, Olivolio. Elements 04 cleansing handmade soap with red clay, beet & geranium, Cool Soap. Natural soap with rose & black pepper, APIVITA, available in pharmacies. Chamomile softening soap for face and body, Korres, available in pharmacies.